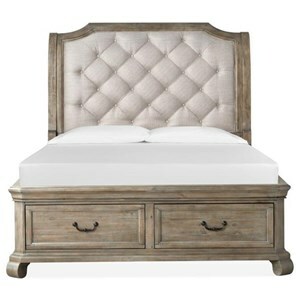 Bold tufting and nailhead trim come together to give you a stylish fully upholstered bed including the footboard and side rails. 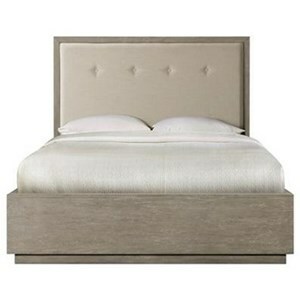 The headboard has winged sides for a dramatic look. 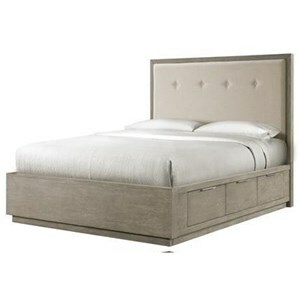 This bed is also available in 54 inch height. 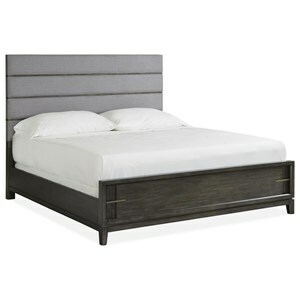 The My Style - Beds Kirkwood 60'' King Upholstered Bed by Rowe at Reeds Furniture in the Los Angeles, Thousand Oaks, Simi Valley, Agoura Hills, Woodland Hills, California area. Product availability may vary. Contact us for the most current availability on this product. The My Style - Beds collection is a great option if you are looking for Contemporary Traditional furniture in the Los Angeles, Thousand Oaks, Simi Valley, Agoura Hills, Woodland Hills, California area. 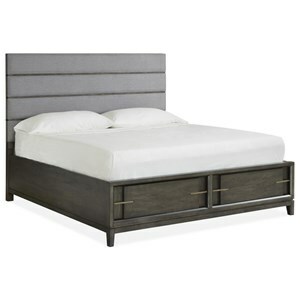 Browse other items in the My Style - Beds collection from Reeds Furniture in the Los Angeles, Thousand Oaks, Simi Valley, Agoura Hills, Woodland Hills, California area.